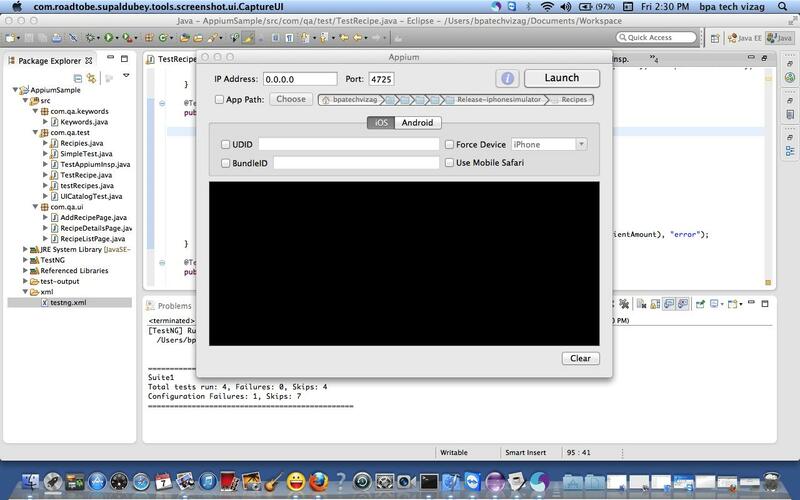 Next we have to specify the app, which we want to open in appium inspector. Now click on the ‘Launch’ button, Once you launched the appium server, the blue color icon, which present beside the ‘Launch’ button is enabled. Now you will see the element hierarchy of the application in the first column of appium inspector. 2. Highlights the object in the app. 3. Element’s xpath and its attributes at the right bottom corner. And you can do actions by clicking on the action buttons Tap, Swipe etc displayed in the left bottom of the appium inspector.